Among the forms of apostolic ministry of the Oblates of St. Joseph, the Christian education of youth holds a position of privilege. If concern for young people is everyone’s obligation,for the Oblates it is demanded by fidelity to the spirit of their Founder. 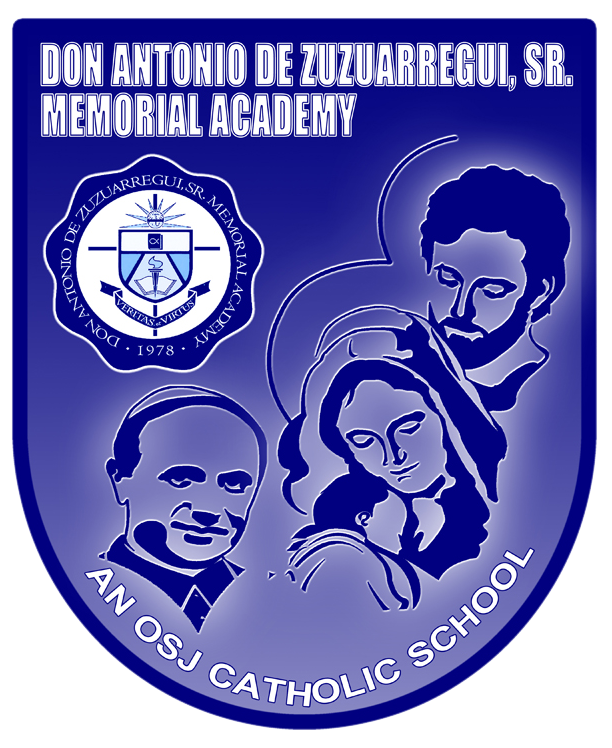 Don Antonio de Zuzuarregui, Sr. Memorial Academy, formerly JOSEPH MARELLO ACADEMY was founded in 1978 by the late Rev. Fr. Guido Coletti, OSJ. It started offering Revised Secondary Education Program with one hundred eleven (111) first and second year students under the tutelage of three (3) teachers headed by the late Ms. Salome Cuevas as principal. It was not an easy life then for the teaching staff who was housed in the school dormitory. Water in the place was scarce, and they seem so isolated from the rest of mankind yet the four educators and the late Rev. Fr. Sancho M. Sison, OSJ, the Spiritual director who were armed with a strong desire to help the Oblates of St. Joseph in their noble mission of educating the youth in the Catholic way were determined to push through their work. The third and fourth levels were soon added. The years that followed proved the school's valuable help and service to the people in its vicinity. Yearly, the student population increased and there was a need to hire more teachers and other office personnel. To the delight of the founder and the Administration, both teachers and students showed marked concern of the school by striving hard as ever in their work until seventy one (71) students were launched as first graduates in March 1981. Graduation rites have been held yearly since then in the high school department. 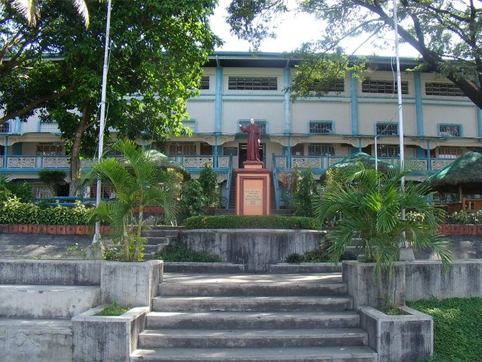 In 1993, JMA was renamed Don Antonio de Zuzuarregui, Sr. Memorial Academy (DAZSMA) in recognition of the benevolent donor of the land, the late Don Antonio de Zuzuarregui, Sr. In 1997, Mrs. Cristina T. Marcos assumed office as Principal while Mr. Crizaldo P. Lamis was designated as Faculty Development Coordinator of the OSJ Schools. That same year, the pre-school and grade schools under its newly-assigned teacher-in-charge, Mrs. Adelaida N. Comendador, was opened. Rev. Fr. Jose "Joey" Vidal F. Apin, OSJ, the Asst. Director of the school at that time, started the construction of the gymnasium using the initial proceeds from the fund-raising projects of the Student Activities Council. That same year too, the new school canteen was put up. In August of 2000, Rev, Fr. Romeo T. Pornel, OSJ who took over the post as Asst. Director, started putting up the new Science Laboratory and Technology and Home Economics building. In 2002, Rev. Fr. Delbert Jardinaso, OSJ took office as Asst. Director. He further improved the school facilities and it was continued by Rev. Fr. Pedro Calvo, OSJ. as new Asst. School Director in 2004. In 2007, Rev. Fr. Ray R. Sales, OSJ, assumed office as the Asst. Director. Though new in the said position, he made himself available to the felt needs of the school. During his second year of office, a new room for the nursery was put up. In that same year which coincided with the school’s 30th Foundation Anniversary, he spearheaded the fund raising search for Little Mr. & Ms. DAZSMA, in which proceeds were used for the construction of the Grade V room. In 2010, DAZSMA had its new Asst. Director, Rev. Fr. Nathaniel Mariano, OSJ. He spearheaded another fund raising search for Mr. & Ms. Seniors in 2011 for the construction of an Audio Visual Room (AVR) that would be at par with the AVR seen in big schools and universities. The building also housed the school library as part of physical improvement. In 2013, Rev. Fr. Dennis Venus, OSJ assumed office as the new Director . With him was Rev. Fr. Edmund Jorge, OSJ as the school Treasurer. 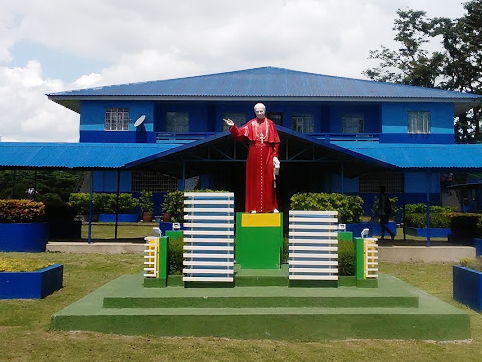 One of his priorities was putting up a Chapel inside the school campus to strengthen the spirituality of the students, parents and all the school personnel. The plan was not realized due to the preparation of the Senior High School first year of implementation. Rooms and TLE lab extension for SHS plus the construction of a new Office building connected to the AVR was given priority. 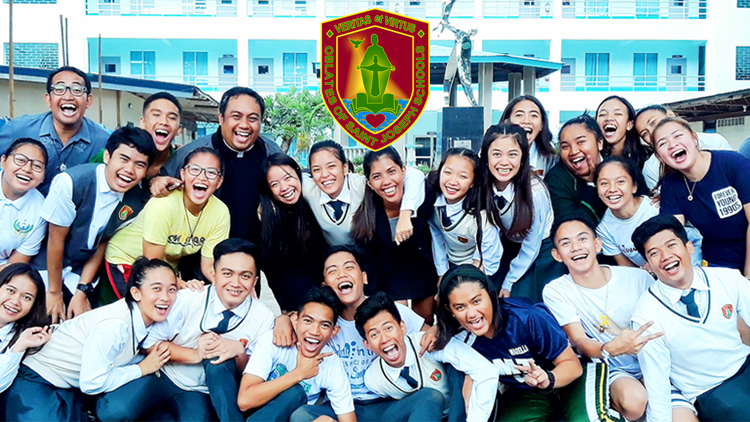 What now stands as the Hallmark of Catholic Education, Academic Excellence and Community Leadership, Holy Family Academy was actually formally known as Padre Garcia High School. It was bought by the Oblates of St. Joseph, thru Rev. Fr. Lucio Aguilar, OSJ from the Bonillas of Lipa City and was transferred from its original site (where Petron Gas now stands right across the Public Market) to the Catholic Convent adjacent to the Catholic Church. Holy Family Academy was officially established as a Catholic Educational Institution on February 13, 1962 and had only 114 students in all High School levels during its first year of operation. Mrs. Rosalinda Mendoza Bolaños, principal of Padre Garcia High School also became the first principal of Holy Family Academy . 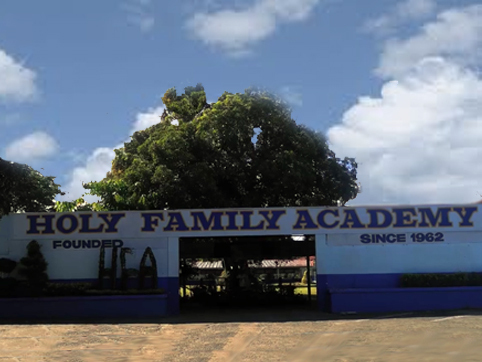 A few years later after its establishment as a Catholic School , Holy Family Academy increased in population and additional classrooms had to be constructed at the back of the convent. Student population consistently increased the succeeding years so that the Oblates of St. Joseph priests who owned the school had to look for a bigger and more conducive place. In 1973, a 6.7 hectare lot in Banaba and a right of way from the national highway were purchased and seven buildings were constructed by Fr. Guido Coletti , OSJ. These comprised the 16 classrooms, administration building, Home Economics building and the original auditorium. In 1994, Fr. Rony B. Alkonga, OSJ, Director of the School, saw the need to open the Catholic Education to the Pre and Grade Schoolers. Additional classrooms were constructed, plus a canteen. When Fr. Guido built the convent for the Sisters of the Oblates of St. Joseph at the back of Holy Family Academy he also constructed the gymnasium. Mrs. Bolaños personally supervised the concreting of the pathway from the highway to the main gate of Holy Family Academy. She served as principal of the school for 38 years until Mrs. Alice D. Alday took over in 2000. 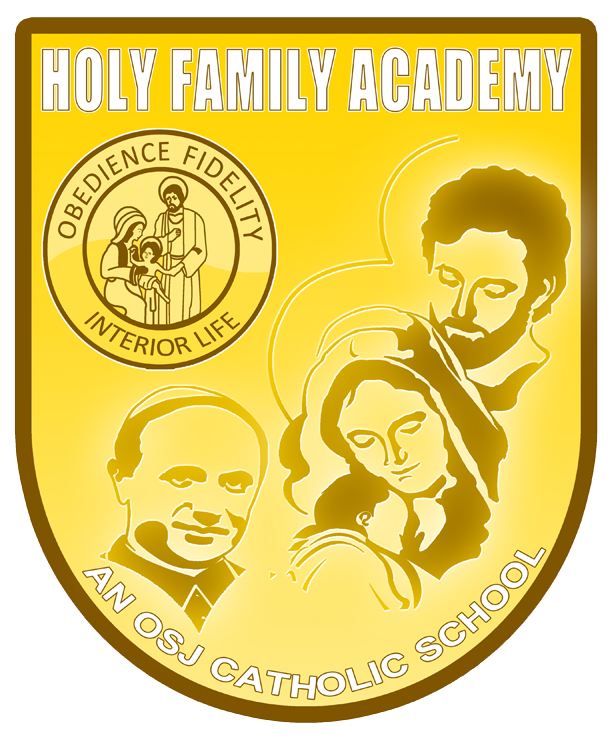 Today Holy Family Academy is a shining Hallmark of Catholic Education, Academic Excellence and Leadership. 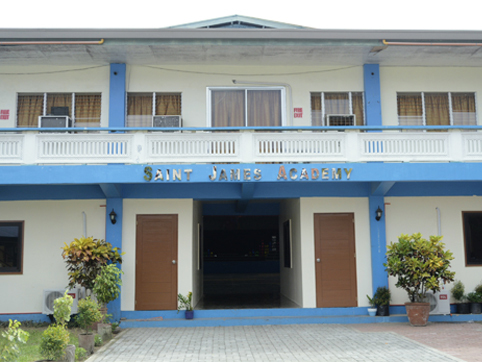 In 1947, a group of lay people headed by the late Mr. Jose Halili, Mrs. Maria Ramos Sales, Mr. Jose Garcia, Mr. Zosimo Giron and others decided to start a lay secondary school which they called San Juan Institute. The first single room was built by local materials. The corner posts were made of madre cacao wood, the roofing were the cheapest galvanizd iron, the walls were half cemented and furnished with some plywood. As the Faculty increased, the school transferred to a new site, at the the building opposite the house of Mr. Nemesio Rosales. But then the administrators began to suffer a series of problems. So in 1963, to save the school from this woes and to provide the town of San Juan with a strong foundation on Catholic religion, the Order of Augustinian Recollect priests took over the ownership from lay to sectarian. The friars appended their name to the school-San Juan Institute-Recolletos. In 1978, the Recollect Fathers had presented to the Archdiocese of Lipa their intention of ceding their administration of both the parish and the school. In a board resolution dated February 28, 1978, the transfer of the parochial administration to the Oblates of St. Joseph was duly approved. But none about the school was mentioned. In a letter dated June 19, 1978 from the Department of Education and Culture, it was clear that there was a signed deed of transfer of the administration of the school from the the Recolletos to the OSJ fathers. 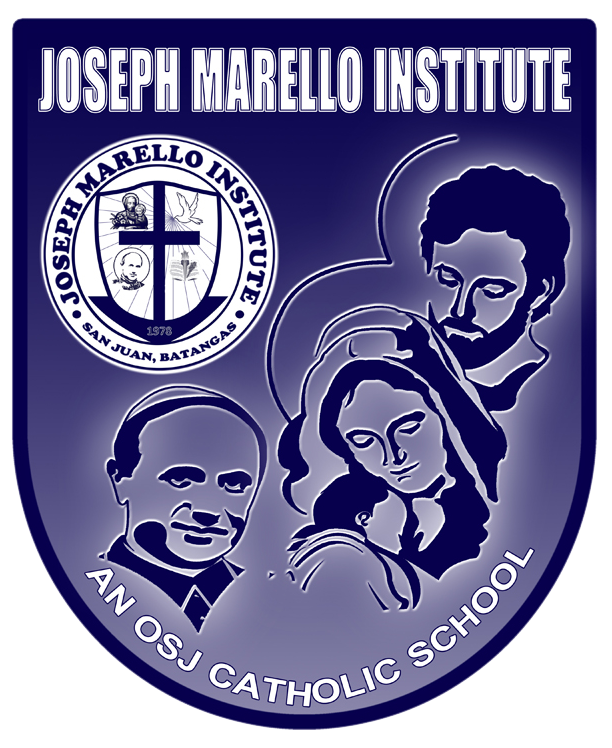 This letter also approved the change of the school name to Joseph Marello Institute effective that school year (1978-1979). In the nineties, primary education was added to the school curriculum. With this came new and better buildings were erected. This was followed by the completion of the gymnasium and the construction of the Alumni Building. Since its foundation, this Catholic institute continues to impart knowledge and values especially to the youth of San Juan, Batangas. It stared with only 40 students at the vacant room of the parish convent. In the following years, students increased in population having its first commencement exercises in 1965. The growth and success were rewarded when on July 1, 1968, it was given the Government Recognition. With the remarkable increase of the student population, Rev. Fr. Guido Coletti, OSJ, decided to purchase some hectares of land at Brgy. Mahanadiong, where the present school building is located. In 1994, pre-elementary education was opened and on March 2001, the first commencement exercises in the elementary department was held. It was founded in 1955 by the Oblates of St. Joseph through Fr. Guido Coletti, the OSJ church builder in the Philippines. Its humble beginning on the philosophy of religious and moral education of the youth has sustained its growth through both good and tough times. Ms. Salome B. Cuevas was the pioneer principal who steered the school for close to twenty years and made it known as Center of Cultural and Academic Excellence. Former Vice Mayor Emma Mercado-Gamab followed Ms. Cuevas but only for a few years. Ms. Melba Roxas-Gualberto also became principal for only over a year. Then, Mrs. Teresita Andal-Roallos took the reins for more than twenty years. But she suffered a series of mild strokes but had not recovered. In 2000, she was succeeded by Mr. Noel Castro. Mr. Benjie Magtibay took over his office in 2010. Its colorful history is best reflected in the lives of its graduates. The world is getting smaller and is gradually turning into a small global village. 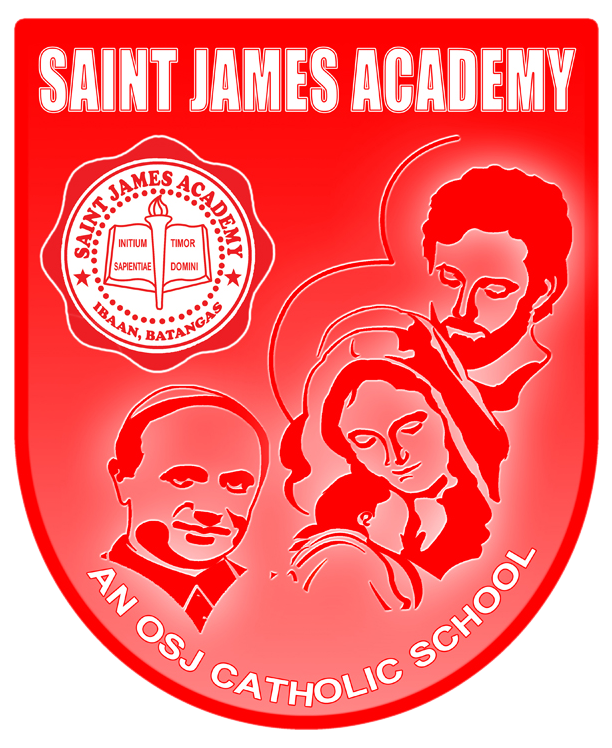 St. James Academy is very much aware of this, and dedicates to the realization of a holistic education that makes its graduates ready to compete globally. 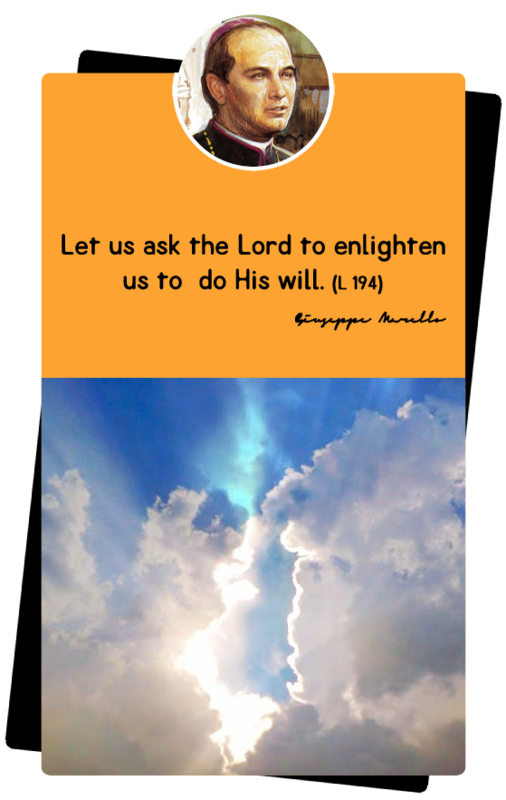 Some six decades ago, a devoted Parish Priest of Rosario, Batangas with the name of Rev. Enrico Tunesi, OSJ, tool all the effort, time and willingness to build an institution which is now standing as the hallmark of Catholic Education in this town. Seeing the importance of Catholic propagation, he sought the assistance of his Superior, Rev. Fr. Lorenzo Bo, OSJ, to get the final approval of the then Bishop of Lipa, Bishop Alejandro Olalia, D.D, who in return never hesitated to give his blessing for the accomplishment of a task intended for the young generation. 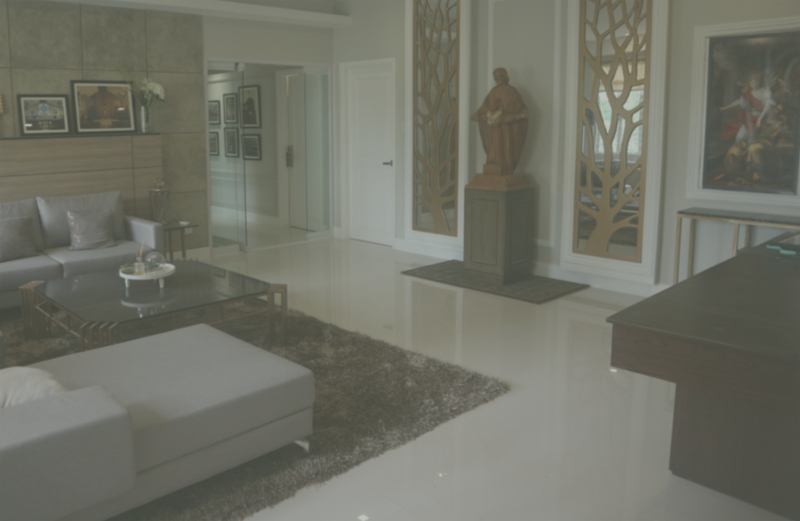 And to make the reality of its building more possible, he contacted the Church Escrebiente, Mr. Luciano Agoncillo, to represent him to Mr. Juan Noble to acquire the 5, 412 sq meters portion land where it presently stands. The first building, composed of four rooms, a laboratory and a library, was constructed and built in January, 1956. Two months later, March 17, 1956, to be exact, then Director of Private Schools, Mr. Pedro Magno, gave his consent for the full operation of the institution. 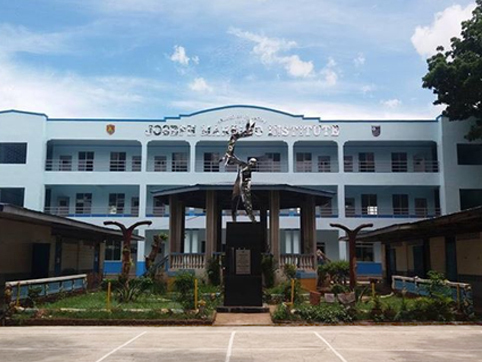 It started with forty-eight young freshmen with Mr.Jovito Magtibay, as its first Principal. Four years after, the school was given recognition by the government to operate its full Secondary Education. As the population grew, there was a purchase of an additional piece of land on September 6, 1989 with an area 2, 238 sq meters through the effort of the late Provincial Superior, Rev. Fr. Sancho M. Sison, OSJ. In this piece of land now stands the Pre-Elementary and the Elementary Department with integrated Home Economics Building, the Laboratory and the Learning Resource Center. Annex to it is the newly established building, now used as the Faculty Center. To serve and reach out for more and to propagate the Catholic Faith to the youth of Rosario, School Year 1996-1997, the Pre-Elementary Department was put up and given recognition last April 29, 1998. The following School Year 1997-1998, The Elementary Department was started and given recognition last December 15, 1999. Today, it stands as one of the pillars of education in this town. As a testament to this, the former St. Joseph Institue is now approved as a tertiary educational institution. 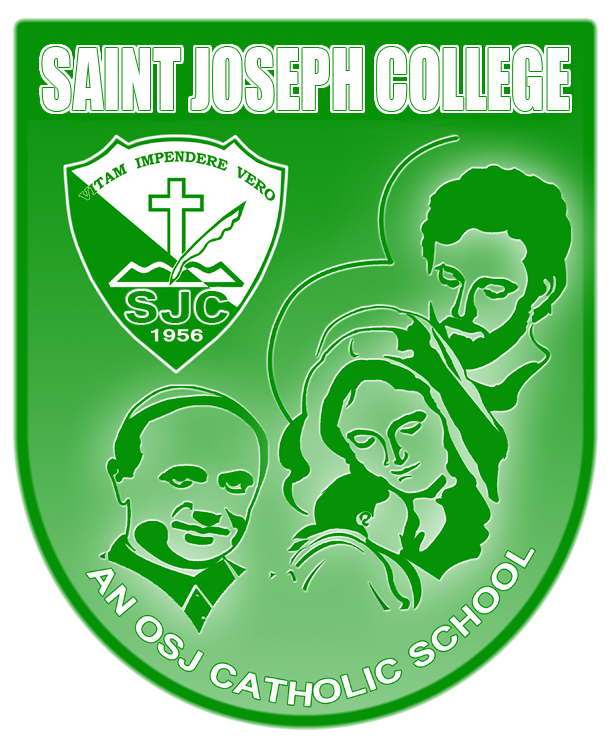 It is now to be known as St. Joseph College of Rosario, Batangas (SJCRB). This institution continues to serve the community in the Christian morals, imbibing the ideals of the Founder, St. Joseph Marello, under the banner of our Patron, St. Joseph, the Patriarch. The Sto. 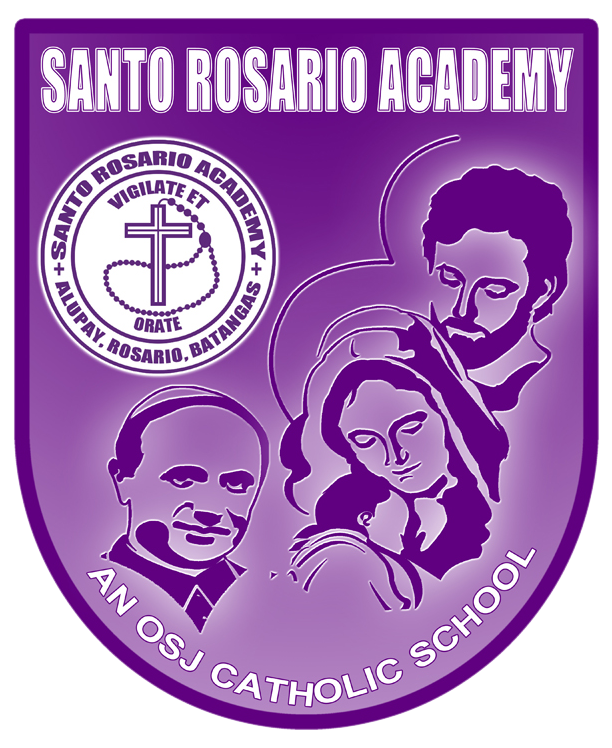 Rosario Academy was founded in Alupay, Rosario, Batangas in June 1967. This was through the initiative of the late Rev. Fr. Guido Coletti, OSJ. 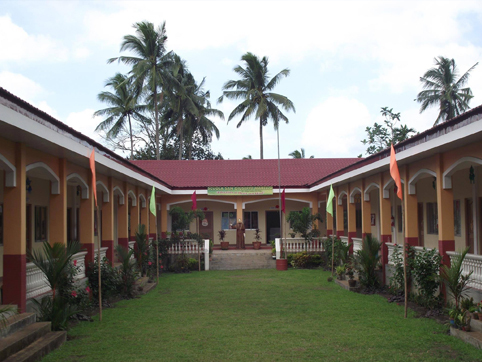 The school is built at the back of the Holy Family Parish Church. This educational institution was recognized by the Philippine Government on May 18, 1973. The first students were from Brgy. Alupay and the neigboring barangays including Macalamcam, Pinagsibaan, Salao and Natu. The guiding principle of this school is “Vigilate et orate”(Be vigilant and pray). 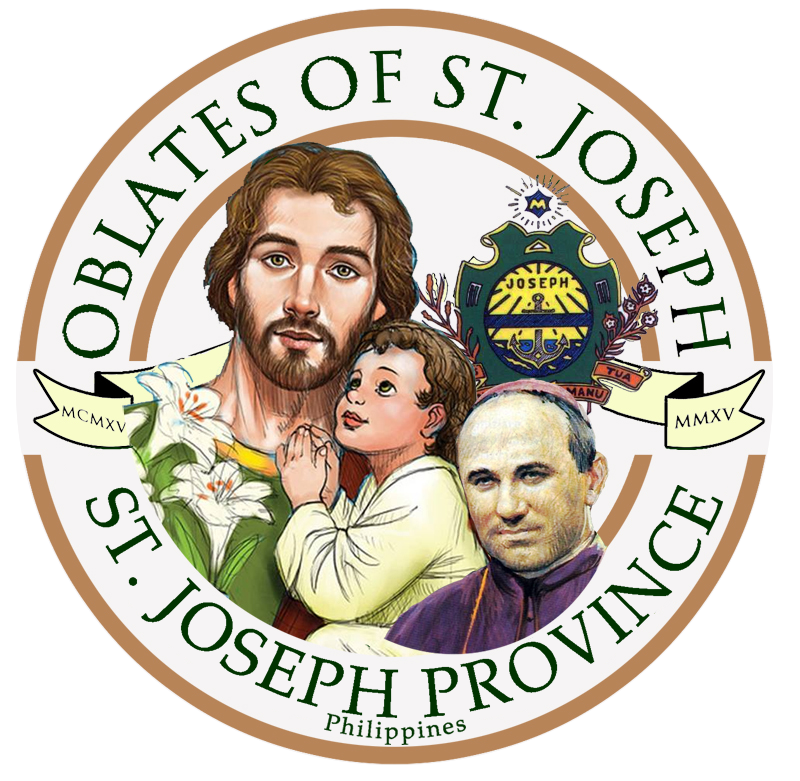 The land area where the school is located was given to the Congregation of the Oblates of St. Joseph as donation. It was given by the Escudero family, as donor, represented by Don Conrado A. Escudero, to the congregation of the OSJ on January 4, 2007, during the term of Rev.Fr. Noel B. Magtaas, OSJ, as the provincial superior of the congregation. The terms and conditions of giving the land was for religious function, in particular, to build a school, chapel, seminary, religious houses and the like. 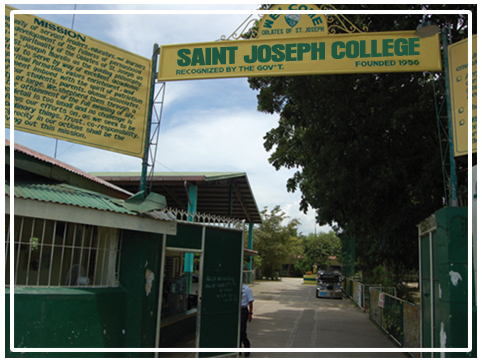 The school was materialized through the collaborative effort of the OSJ Philippine Province, with Rev.Fr. Rony B. Alkonga, OSJ, as the Provincial Superior of the Congregation. The building construction of the School began in 2010 and was finished in the same year. 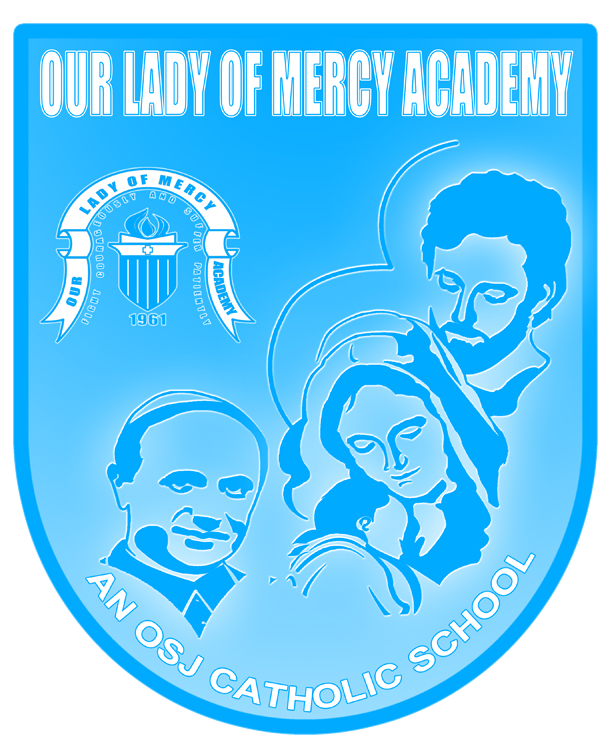 The following year, 2011, this newly built OSJ School got its government permit to operate as private Catholic Elementary School and opened the courses of Pre-Elementary (Kinder and Preparatory) and Elementary (Grades 1 and 2). 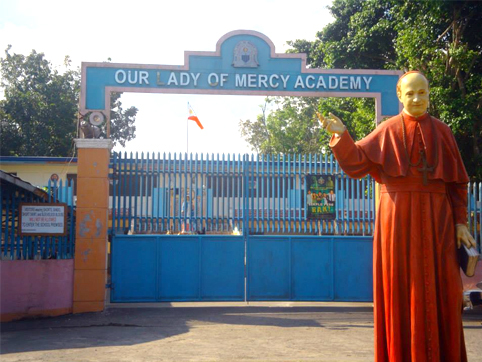 The school was blessed and inaugurated on March 28, 2011 by Msgr. Melchor Barces, Vicar General of the Diocese of San Pablo. In June of the same year, the school was formally opened with Rev. Fr. Robert Ciprian Calderon, OSJ as the School Principal.